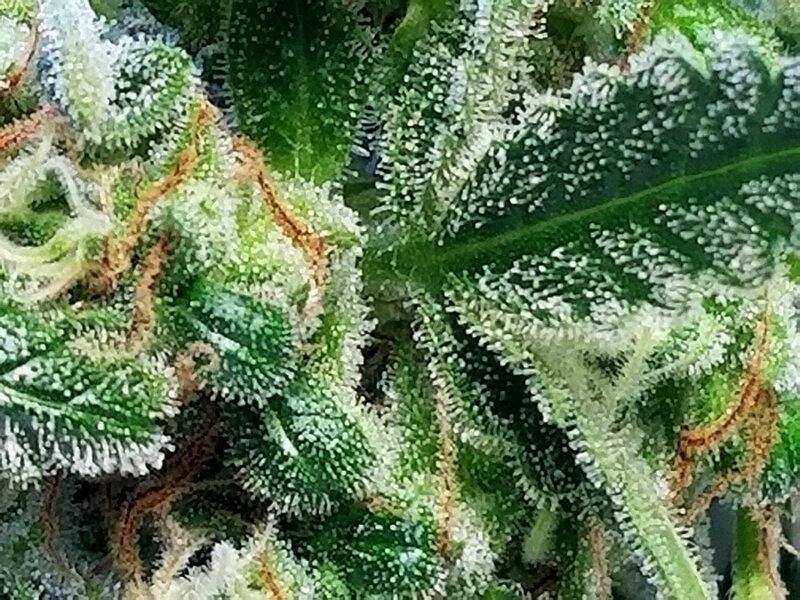 It’s so rewarding to harvest your own weed. 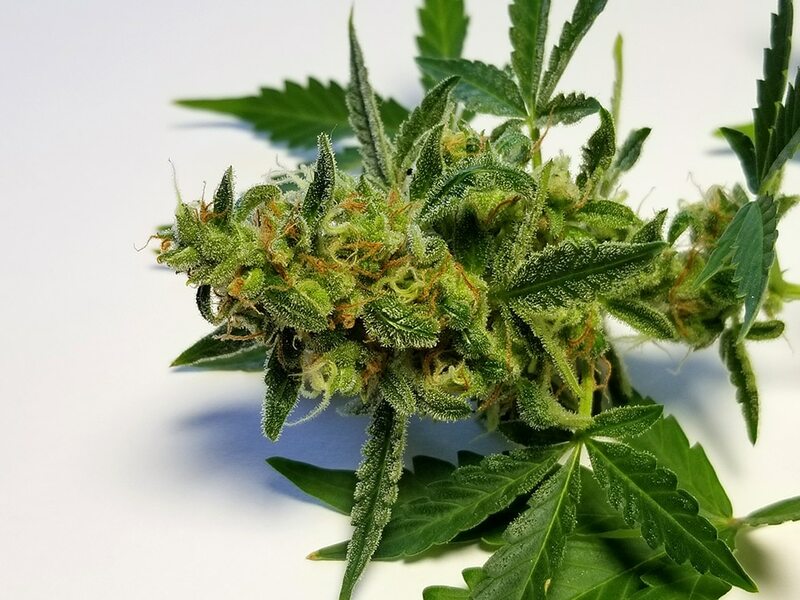 Not only does it mark the end of a grow and a lot of work, but it’s also a countdown timer to being able to enjoy the fruits of your labor. 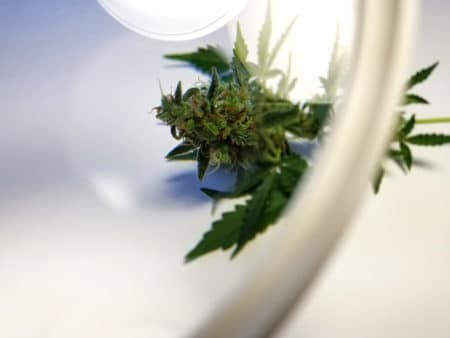 That being said, any cannabis grower who has made it through the flowering stage knows that waiting for the right time to harvest can be a major test of a grower’s patience, and it can be hard to know when is the right time. 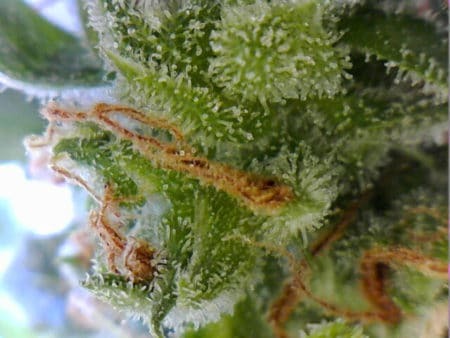 This is where learning to use a microscope or magnifier to examine trichomes comes in. 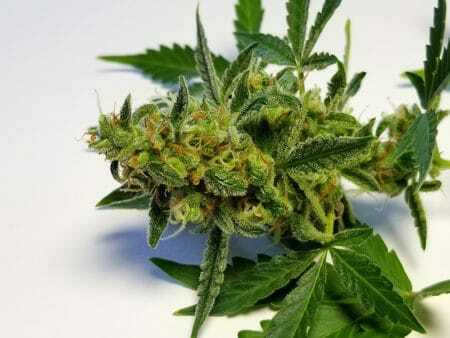 Timing: This is done by just waiting and harvesting when the breeder-specified flowering time is up. Please, don’t do this! 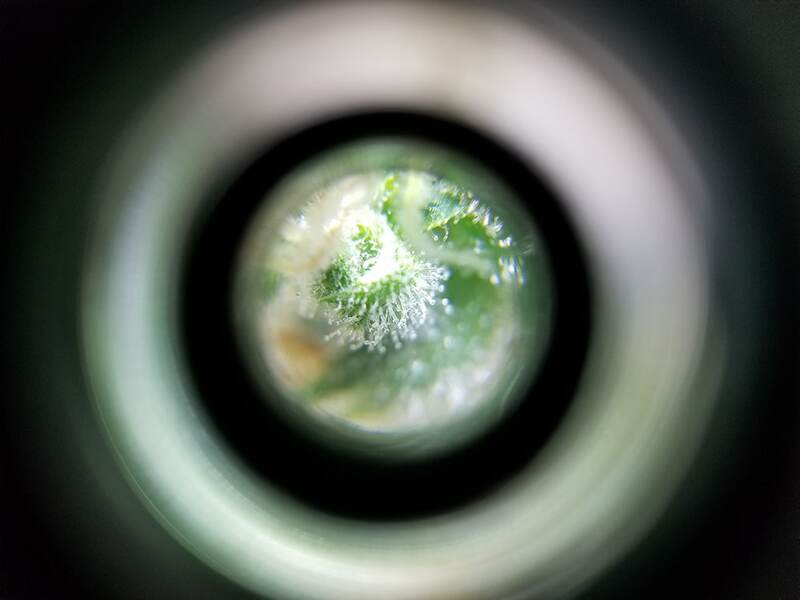 Pistil Method: When at least 60% of the pistils have darkened and curled in, the harvest window is open. The pistil method has a huge advantage in that it requires no tools! And it’s MUCH better than using the breeder specified timing. However, it can still be inaccurate, and inaccuracy in harvesting means lower yields/potency. 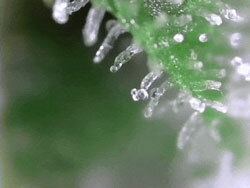 Trichome method: Trichomes are the “glitter” on buds. 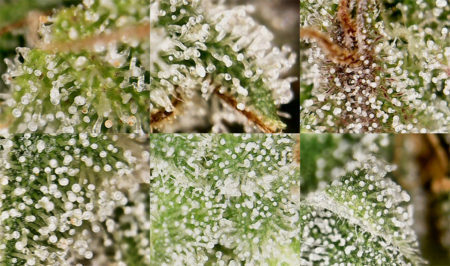 When most of the trichomes appear cloudy-white under a microscope, the harvest window is open. While this method isn’t perfect, in my opinion, it’s the best thing we have right now by far. 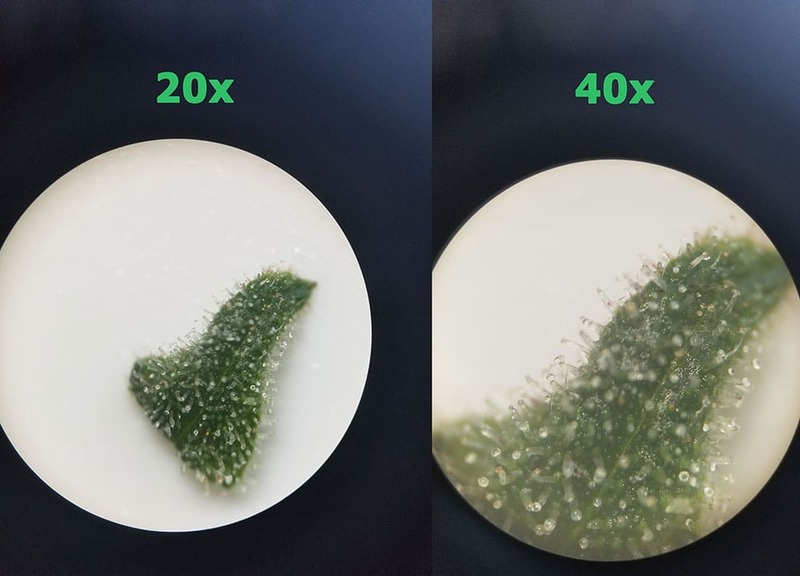 The downside to this increased accuracy(and yields/potency) is that you need more than just your eyeballs to observe trichomes because they’re so tiny! Today, we’re going to focus on the best tools to use for the trichome method. 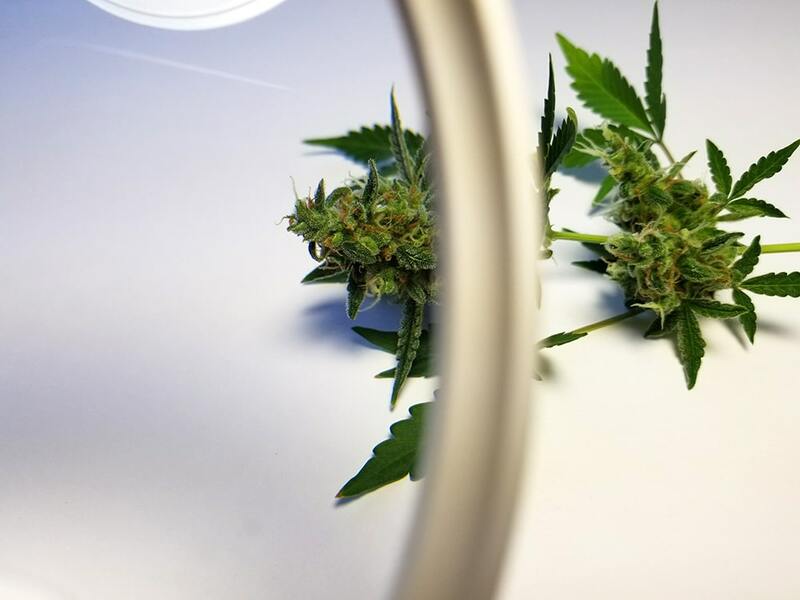 Not only will you learn what to expect from each type of tool (with pictures), but you’ll end up with the ability to judge the harvest window better and as a result, get better potency and yields in your next cannabis grow. Let’s get to it! Notes: Handheld magnifiers are the easiest to use and have the widest viewing angle, but they don’t zoom in close. 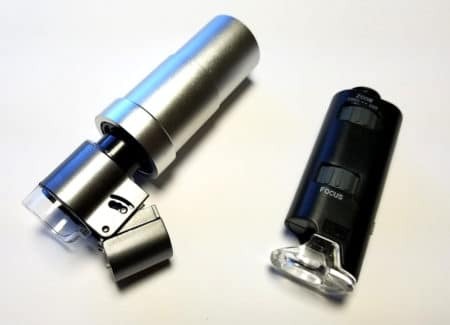 Some magnifiers will have a smaller lens built in with a much better zoom, but these small lenses tend to be as inconvenient as they are helpful. 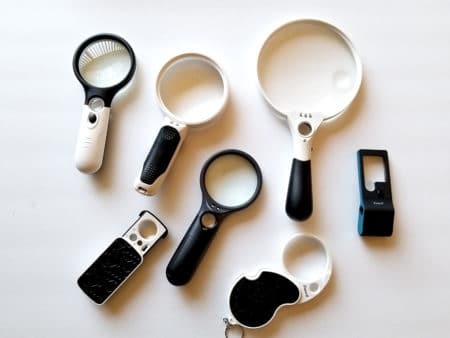 Best example: If you simply must have one, this magnifier has changeable heads so you can get more magnification without sacrificing much lens size. But honestly, any other tool on this list will probably be better for you when it comes to checking trichomes. Notes: Jeweler’s loupes are cheap and deceptively effective. 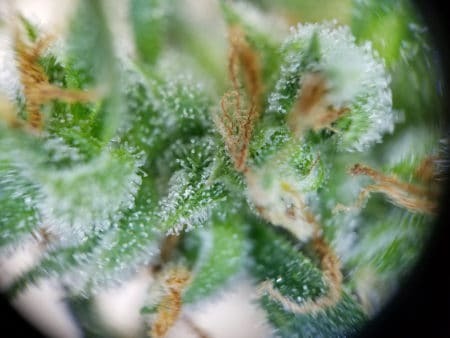 You can use them to get a pretty good look at the state of your trichomes, and you can also put them up to the camera lens of a smartphone and take pictures like the ones above. 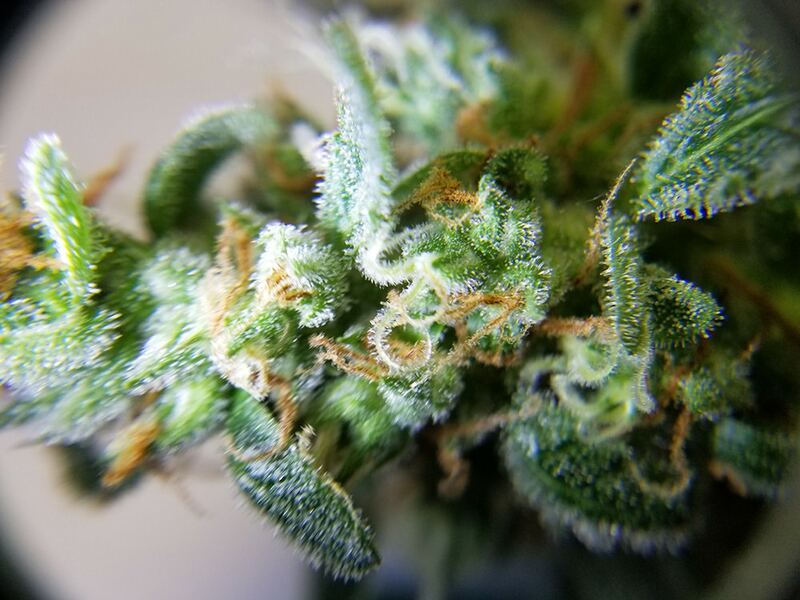 The zoom feature on cameras make trichomes easier to see clearly. Loupes are also very easy to use and made from tough materials, so if you buy one, you’ll probably have it for years and years. Notes: Smartphones are a great choice since many people already have one. Another cool thing about smartphones is that the picture quality tends to get better as newer phones are released, so some newer phones can produce high-quality pictures without needing anything extra! Best example: Odds are you already have a smartphone that will take pretty good pictures. If you’re looking for a new phone, the Samsung S9+ is one of a few pricey phones that have 2x optical zoom. This means they can make any picture 2x bigger without losing resolution. The pics above were taken on a Samsung S8+ (digital zoom only). 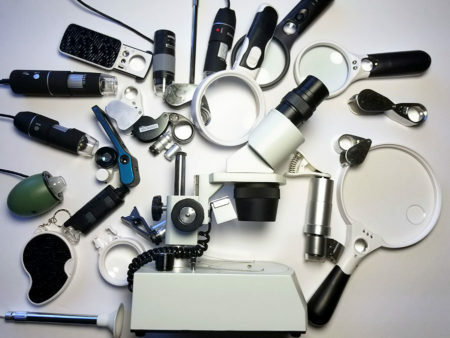 Notes: These types of tiny pocket-microscopes are relatively cheap and can be used alone or with a smartphone. 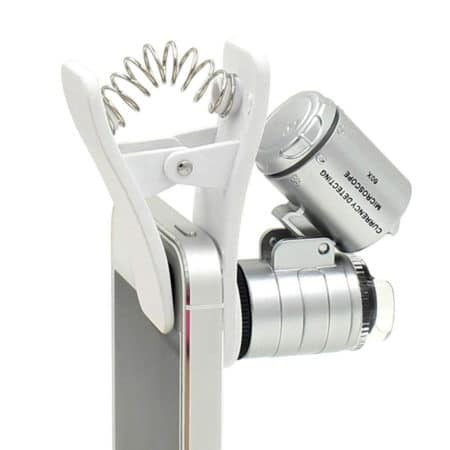 If you have a smartphone, make sure to get one with a phone attachment like the ones in the picture above. This makes for better pictures and it also makes it way easier to focus on the piece of plant you want. Pro-tip: these are great for video if you don’t have a USB camera available. 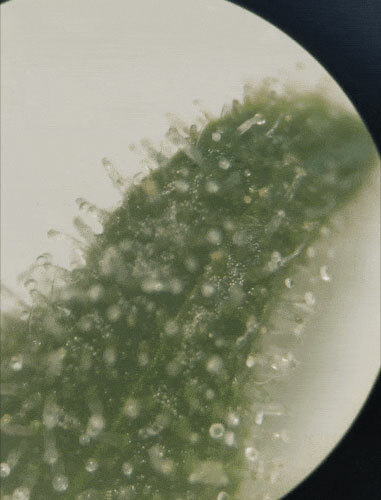 Notes: The larger class of pocket microscopes are able to produce some really impressive pictures. The only problem is that they can be frustrating to use, especially when you’re trying to inspect something like a live branch on a cannabis plant. 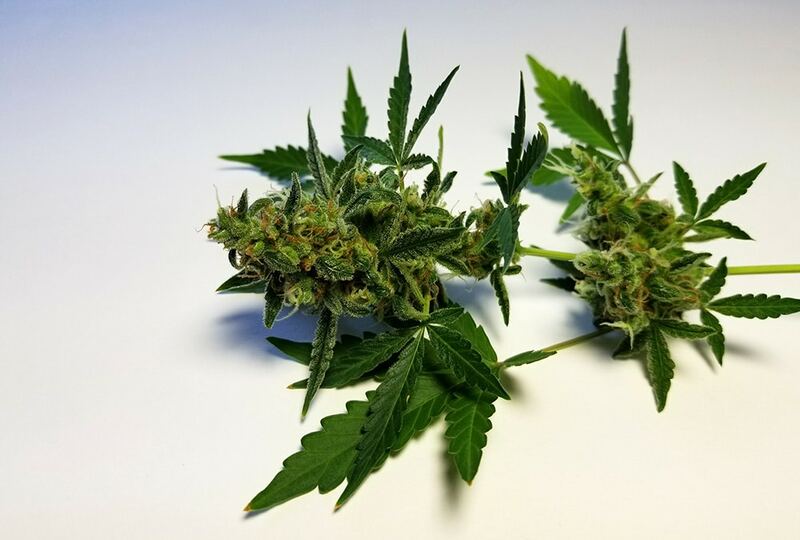 If you can afford to cut off a small piece of plant matter or if you’re trying to inspect an already harvested bud, this tool becomes a lot handier. Click this link to see a short animated .gif of an endoscope in action! 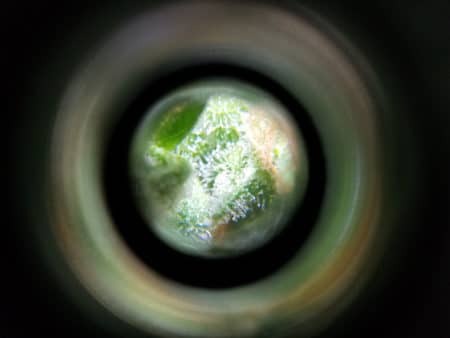 Notes: Endoscopes aren’t really meant for inspecting cannabis, but we tried a few anyway. They’re definitely fun and easy to use, but they’re not that great for figuring out if it’s time to harvest your plants. There are much better alternatives for the price unless you’re also aching to see what’s in your ear or on your teeth. 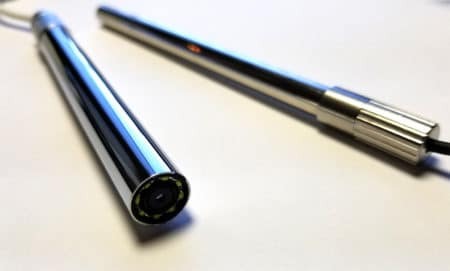 Endoscopes require a connection to a smartphone or laptop. 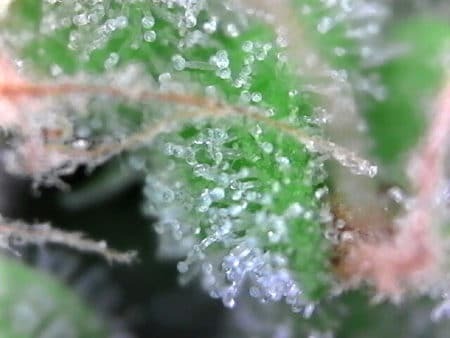 Notes: Using a stereo microscope to view trichomes is going overboard. Although they’re a blast to use and cool in a very nerdy way, there’s almost no chance that one of these will ever pay for itself in terms of making your harvest better. 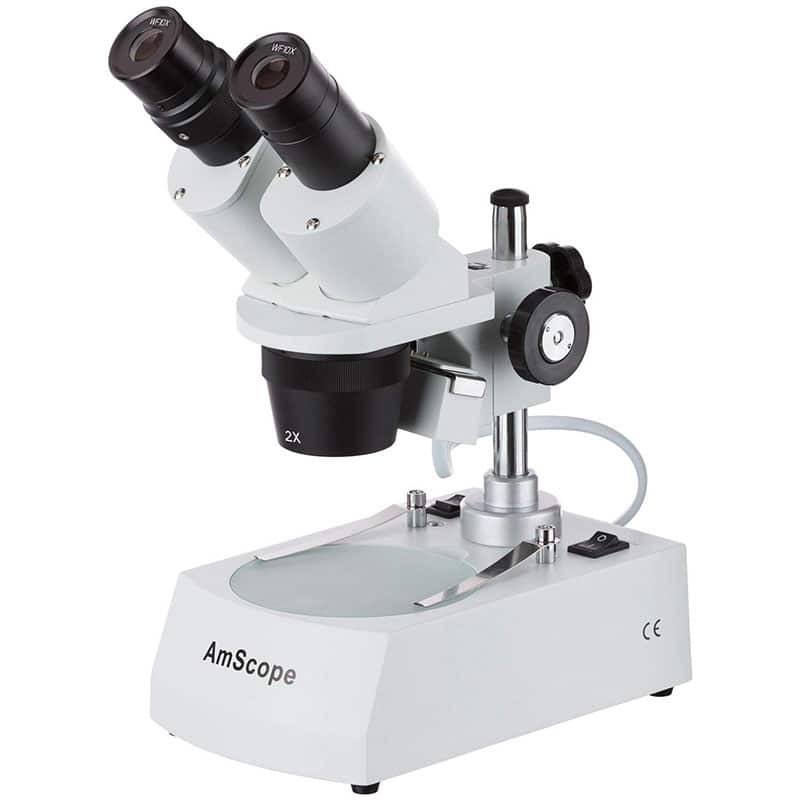 Best example: We have an AMScope-306R and it definitely takes some cool shots. So much money and work, though! Apple products don’t support OTG yet, so USB microscopes won’t work for this group. Surprisingly, a jeweler’s loupe is the next best thing in our book! Jeweler’s Loupe: They’re cheap, easy to use, durable and they magnify enough to actually help determine harvest time. 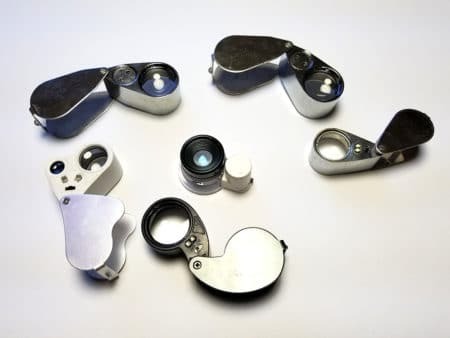 A jeweler’s loupe and a phone together are better than either one is on its own. It’s really hard to beat this much value and dependability! We tested quite a few microscopes, loupes, magnifiers, etc., but there’s a good chance we missed some good stuff! 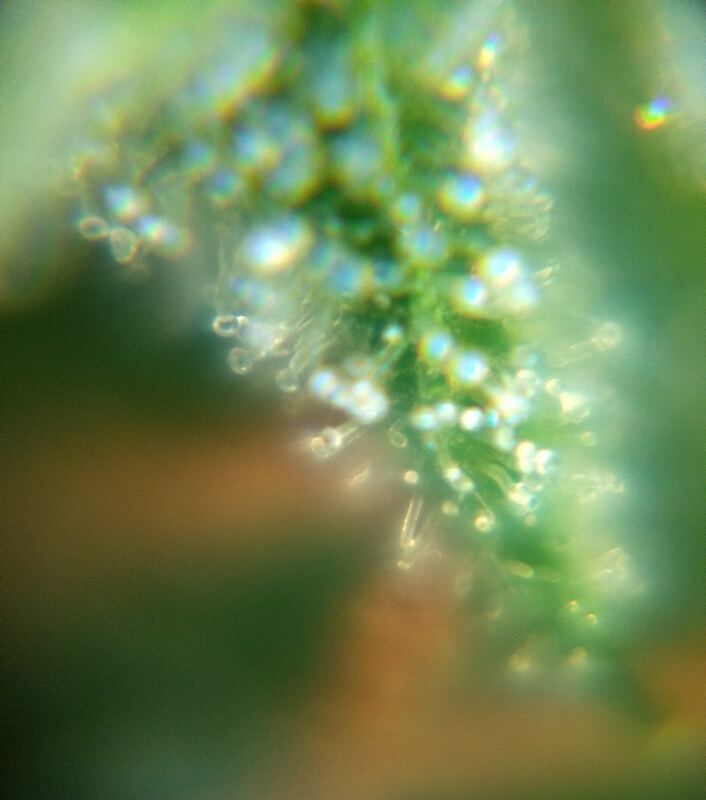 If we didn’t cover a tool that you use to look at trichomes, make sure to drop us a line and let us know. We’ll take a look and add any good suggestions to this page!